The formulation is exactly the same as the previous shades we have seen from the Kate Moss collections; with them being opaque, moisture-rich and creamy, with a subtle sweet scent and a semi-matte finish. just so you buy the shades that are best suited to your skin tone. I think I am going to have to try and wear the others more or give you to other people because they are stunning and are a great formulation. 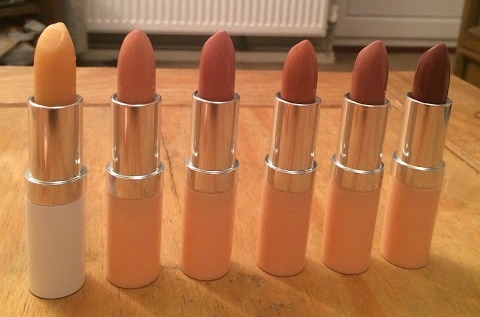 The lipsticks are £5.49 and the nail polishes are £4.49, so a really good price if you are on the market for some new nudes.